Former President Bill Clinton seen falling asleep during wife Hillary's speech as nominee at Democratic National Convention. The Democratic party officially nominated Hillary Clinton as their nominee for President of the United States at the party's national convention in Philadelphia this week, extending the decades-long Clinton visibility and viability in American politics. 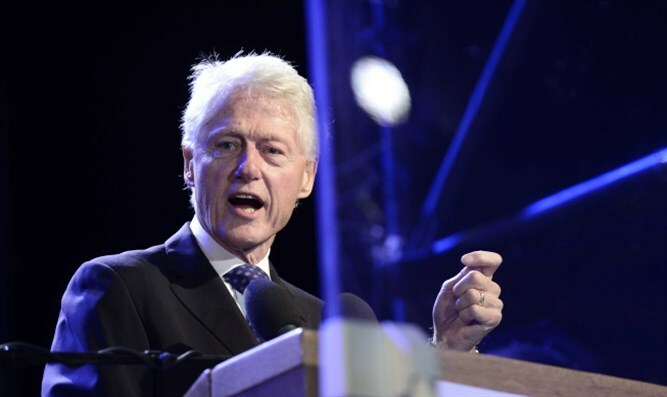 Former President Bill Clinton gave an emotional speech telling the story of his romance with Hillary on Tuesday, weaving an emotional tale of decades spent "talking and laughing together." Some were skeptical of this picture, remembering the scandals that marred the late years of the Clinton presidency. All this added to the already-intense scrutiny of Bill's conduct as wife Hillary accepted the nomination in a speech last night (Thursday). While nominee Hillary Clinton was pledging to triumph over ISIS efforts to "reach and radicalize young people in our country" through online propaganda, former President Bill Clinton was caught on camera dozing off, while sitting next to a pointedly nodding Tim Kaine, nominee for Vice President. As Donald Trump's continued bombastic statements will no doubt feed into the perception of him being an unstable character, Hillary Clinton's inability to hold the attention of her husband enough to keep him awake will no doubt play into the hands of those who portray her as boring and robotic.